Live from Wigmore Hall in London, tenor Robin Tritschler and pianist Gary Matthewman perform songs by Britten, Lennox Berkeley and Tippett. 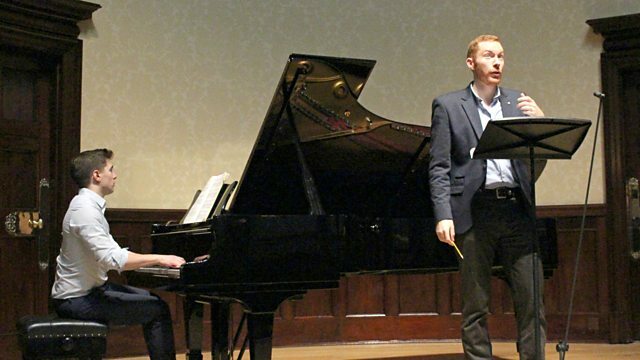 Live from Wigmore Hall, London, tenor Robin Tritschler and pianist Gary Matthewman perform songs by Benjamin Britten, Lennox Berkeley and Michael Tippett. Performer: Robin Tritschler. Performer: Gary Matthewman. Featured Artist: Robin Tritschler. Performer: Gary Matthewman.